" A portrait of my child, one a week, every week in 2013. " Chloe, is truly the happiest when playing in and exploring nature, and me, well I could stare at her beautiful, little smile all day long! 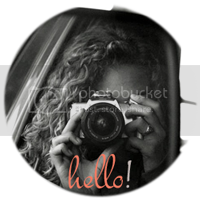 Joining in with Jodi and all the wonderful bloggers participating in the 52 project! her cheeks. i love her cheeks. love seeing posts of children playing outside, these days. we've been pent up indoors and it's driving this mama (and baby!) crazy. we were able to get out to a park for a bit this morning but after seeing these photos, i can't help but wish we had spent more time there, for the swings! This gal is super cute. It is snowy here this time of year. I can't wait to get back to the park! Thanks Amy! We have snow again but it was nice to have a little break for a few days! How gorgeous!! Playing outdoors I think brings out the best in children, your Chloe looks as though she loves it! Thank you Jane, Tiffany, my blog designer did such a wonderful job! and I agree, Chloe always seems the most happiest when we are outside playing! Gorgeous smile, and that pink jacket is stunning! Thanks for stopping by. I know it's probably been said a million times but "those cheeks!"! So cute. xo m.
Thanks Juliet! It's so much fun to watch how happy and excited they get swinging and playing at the park! She is an absolute sweetie! Chloe is so adorable and smiley! Jude hasn't really gone to a playground yet... I need to take him! I know he would love it. Thank you Sarah! and I bet your son would love it at the park! She looks like she is so full of joy in that swing! Thanks, definitely her favorite place to be at the park! And did I mention how much I love your knew blog layout? If I haven't mentioned yet, I have been thinking about it. I just think it's beautiful! Thank you! She always has the best time at the park! Lovely pic. That swing is great!! Thank you! and I know I really wish they had one in an adult size lol! Thank you Sara! Yes we love the swings too, seems much more comfortable and safe! 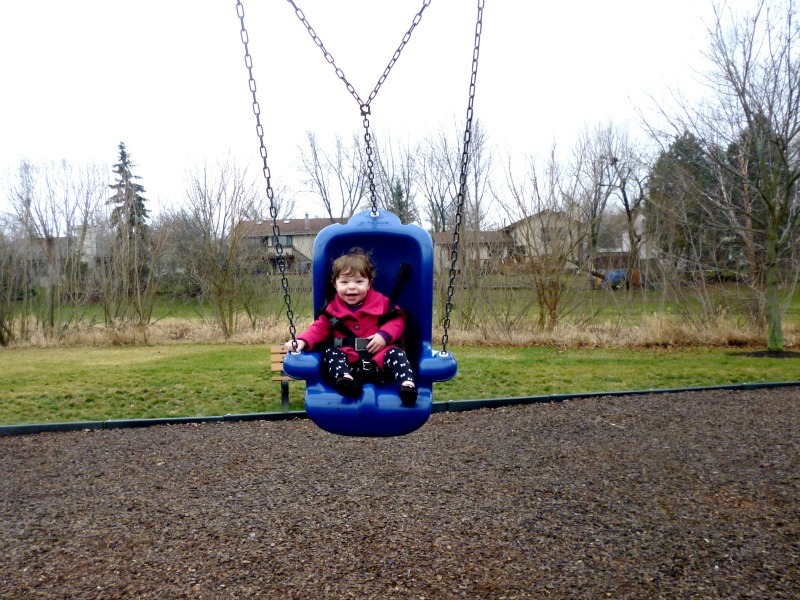 Hopefully you have a park near you with those swings too!